The ADB’s proposed new forest policy is shrouded in secrecy. No surprises there, then. Founded in 1966, the Asian Development Bank (ADB) claims to be “dedicated to reducing poverty in Asia and the Pacific”. The Bank’s lending to the forestry sector indicates that in fact the Bank’s focus is on promoting industry and corporations rather than addressing the needs of the region’s poor. The ADB’s first loan to the forestry sector was in 1977, since when the Bank has lent over US$1 billion for forestry projects. 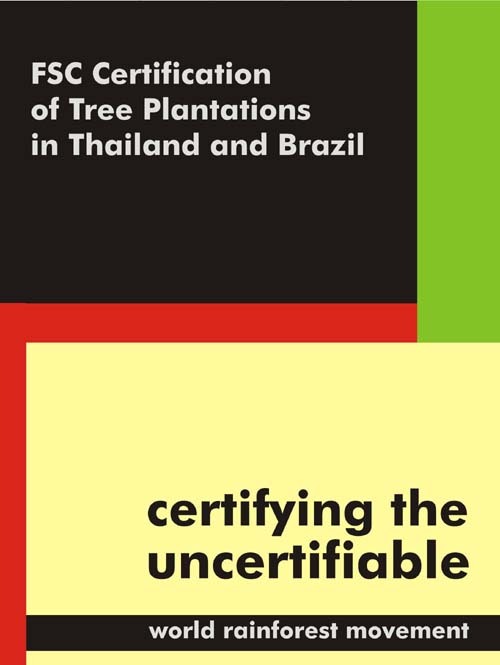 More than 80 per cent of this total was spent on establishing more than one million hectares of tree plantations, three-quarters of which are commercial plantations. These plantations provide few, if any, benefits to the poor. For the last two years, the Asian Development Bank has been conducting discussions in secret about its proposed new forest policy. No details about the Bank’s discussions are available to the public. 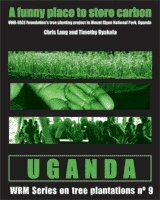 The most recent draft of the proposed forest policy which is available to the public is dated June 2003. The ADB’s Board rejected this version in July 2003. Details of forthcoming ADB Board meetings are secret. 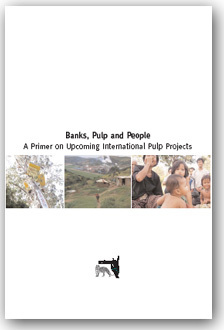 However, a leaked internal Bank Memorandum dated 7 April 2005 lists a Forest Policy R-paper (the “R” stands for restricted) for discussion and possible approval by the ADB’s Board on 5 July 2005. The date of the Board meeting may change. Nevertheless, the leaked Memorandum confirms that the ADB has produced another version of its forest policy. Contrary to Dobias’ and Curtis’ assurances, it is not publicly available. 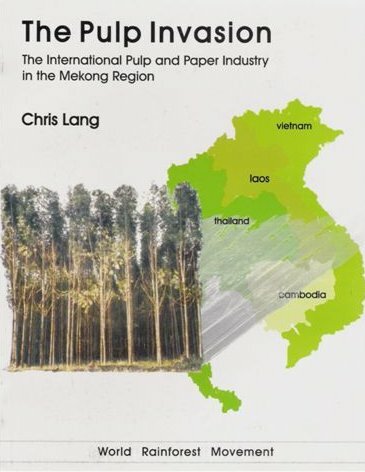 The ADB started a review of its 1995 Forest Policy in June 2000. 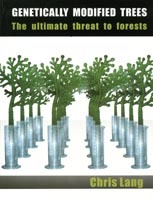 The new forest policy was planned to be completed by the end of 2002. 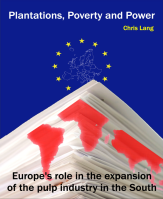 By this time, according to Jan van Heeswijk, then-Director General of the ADB’s Regional and Sustainable Development Department, “the studies and drafting of a policy document were completed”. After six months of “internal review and refinement of the document” the ADB produced the June 2003 draft of its proposed forest policy. For a while, via its web-site, the Bank asked for comments on this draft, without mentioning that the Bank’s Board had rejected it in July 2003. Then the ADB stopped asking for comments and promised that it would release a revised draft in July 2004. In September 2004, when the revised draft had still not appeared (and the Bank’s web-site was still promising that the draft would be released two months previously, in July 2004) I wrote to Javed Mir, ADB’s Senior Natural Resources Specialist (Forestry) and the Mission Leader for the new forest policy, to ask him, among other things, when we might expect the next draft to be released. Mir declined to reply. I wrote to Javed Mir again in March 2005. I asked him why the Bank did not release the working paper from the second half of 2003 and who, exactly, discussed the draft. I asked whether notes of these discussions were available. I asked what happened between the second half of 2003 and August 2004. I asked what “fundamental issues” were raised, and by whom. I asked when the Bank anticipated releasing the next draft of its proposed forest policy. Once again Mir declined to answer my questions. After receiving the leaked ADB Memorandum which states that the Board will discuss the forest policy in July, I wrote to Rolf Eckermann, the Executive Director for Germany at the ADB. I asked him about the current status of the Bank’s proposed new forest policy and when the Bank anticipates producing the new policy. I asked what documents the Bank had produced since July 2003. And I asked Eckermann to ensure that Javed Mir, or someone else at the Bank, answers my letters from September 2004 and March 2005. Eckermann declined to reply. The Bank’s claim that its proposed forest policy is based on a “participatory review process” is nonsense. The Bank’s process exposes the ADB for the secretive, dishonest, undemocratic institution that it is.